At Highland Rent All we take great pride in our ability to help customers throw great events and parties, handle house and yard maintenance and conduct big construction jobs by getting them the items and tools they need. Since opening our doors we've helped thousands of customers with their needs. We're so happy that many of them have taken the time to give us feedback on our performance, which, if you don't mind us saying so, is pretty dang good. The next time you need rental equipment in Albuquerque we hope you'll listen to what many of our past customers have said and then give us a call! We won't let you down. 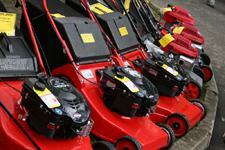 "We Used Highland Rental for the first time. Service was Excellent and Outstanding. Very much Recommend. Very Pleased with Rental & Customer Service." "Had to rent a snake for the plumbing. The guys at the shop were accommodating and explained what to do to clear the drain. Rental was extremely reasonable priced." "I have been renting here from the same family for 35 years. I have never been disappointed." "Overall satisfied with this rental yard. Equipment functions well, and show signs of good maintenance. Friendly staff, and open weekends. Pricing fairly competitive." "They were on time. Set up and delivery were well worth the money." "Great place for all of your tool rental needs. I've been going here for years and they always help me out. Support their business...locally owned!" "Good, honest, hardworking tools & personnel. Local business, helpful employees, no BS like large corporations. Thanks for your help!" "Best place in town to rent equipment. It's fast and better than standing in the long lines. They have everything. I have been renting equipment here for years." "Great customer service. Very competitive prices. Staff is friendly and knowledgeable!" "Although I rented a Bobcat for 24 hours, I finished moving my dirt and pulling 2 stumps in 6 hours. Rather than have it sit in my front yard till tomorrow I returned the Bobcat and to my surprise I was refunded some money for early return. How about that? I will definitely rent again from Highland Rent All." "Very helpful and friendly. Had exactly what I needed to deal with a clogged drain." This is just what a few of the many, many customer we've helped over the decades have to say. We hope you'll be the next person to walk through our doors when you need party supplies, garden tools, auto repair equipment or heavy machinery. Give us a call at (505) 349-4798 to schedule an equipment rental in Albuquerque or to learn more about our inventory.